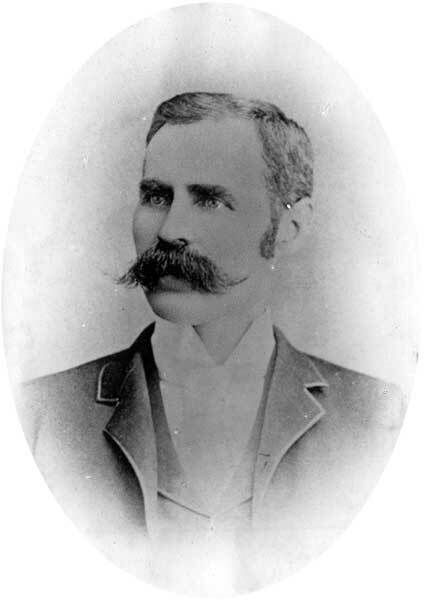 Sheriff, farmer, MLA (1886-1888), MLA (1888-1892). Born near St. Thomas, Ontario on 20 May 1854, the son of John and Margaret McLean, he was educated in Elgin county and taught school for several years. He came west in 1882 and took up farming in the Pipestone district. He served as Reeve of the Rural Municipality of Pipestone from 1884 until he was elected to the Provincial Legislature in December 1886. He was re-elected in 1888 and in 1889 became Provincial Secretary in the Greenway cabinet. He later held the education portfolio during which time he set up the Advisory Board. In 1892, he was defeated in the provincial election and he was appointed Sheriff for the Central Judicial District in Portage la Prairie. In 1895, he became Governor of the Central Judicial Gaol. Due to his initiative the Jail was set apart as a reformatory in 1900. He resigned in 1907, due to ill health. On 22 May 1891, he married Elizabeth Strevel (c1865-? ), daughter of George Henry Strevel. He died at his home in Portage la Prairie on 25 August 1908. He is commemorated by McLean Street in Winnipeg. “Death of former Sheriff M’Lean”, Manitoba Free Press, 26 August 1908, page 10.